Watch Paul Weller Perform In Sydney, Australia From 2010! – Paul Weller News! Watch Paul Weller Perform In Sydney, Australia From 2010! Our good friend, and Australian Bureau Chief, Kenny Smith sent us this link today of Paul’s performance in Sydney back in 2010 that is streaming on a site called, Mosh Cam. 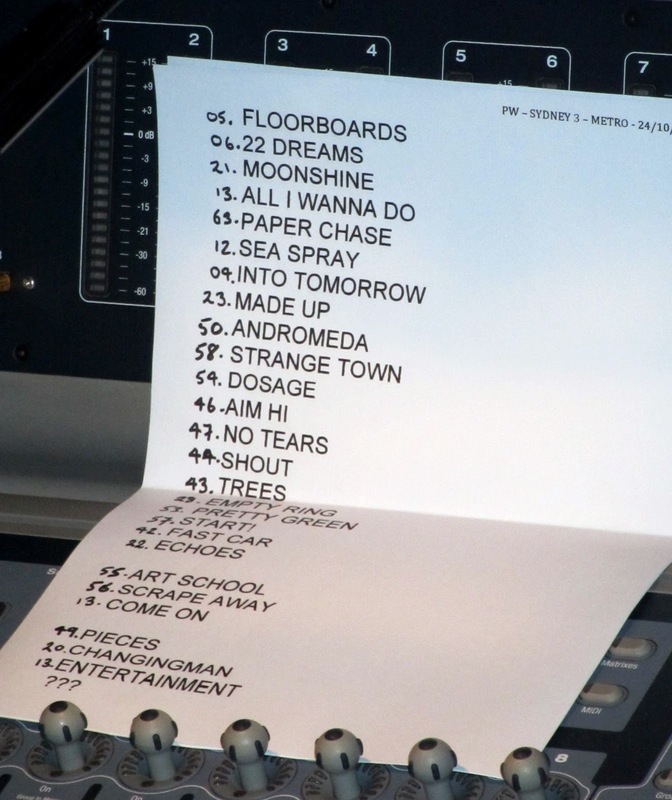 It looks to be a slightly edited version featuring 17 of the tracks performed that night. http://www.moshcam.com/embed/?mediaID=12742Watch Paul Weller and other great gigs on Moshcam. Australian fans waited more than two decades for Paul Weller’s long-overdue sold-out 2008 tour, and when he returned with his Wake Up The Nation tour two years later, none of that anticipation had dissipated. Few musicians have flown the mod flag with the same consistency and style as Weller, and thankfully he delivered the same degree of punk rock passion he had in the 70s to the Modfather devotees that packed out the Metro. Now that’s entertainment. Previous Entry Paul Weller To Release ‘Dragonfly’ Ltd. Edition Vinyl EP!